FREDERICTON( Septeber 26, 2012 ) :The Union representing NB Liquor employees, CUPE Local 963, is asking the New Brunswick Liquor Corporation to reconsider the closure of two corporate liquor stores scheduled for the New Year. “We have been informed yesterday that the Corporation will be closing the stores in St. George and Bristol because the repairs on the buildings would be too costly and the rent space would not be a viable option because of the asking price,” said Martha Thompson, President of CUPE Local 963. “This decision is another blow to the economy of these communities. In total, six full-time and permanent part-time jobs will be lost in the communities. Those employees will be offered the opportunity to transfer to another corporate store. That option will also be available for the casual employees but their working hours will be affected,” explained Thompson. “Expanding the number of privately owned and operated agency stores isn’t the best option for New Brunswickers. The agency stores that will replace those two corporate stores will have a limited selection of product and the customer service will be practically non-existent. 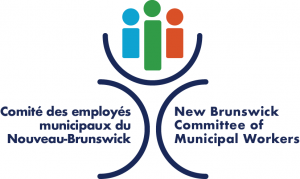 It seems that rural New Brunswickers don’t deserve the same level of services and selection from NB Liquor than the ones living in larger centres,” concluded Thompson. CUPE represents over 500 liquor store and warehouse employees across New Brunswick.